Millions of individuals and small business owners rely on freelance job sites to find work online. Be it simple data entry and web research or content writing, programming, website designing and development etc. Freelance sites may be niche specific or they may allow users to post work related to literally any topic they like. Whether you need to hire someone or you yourself are looking for work, here is a list of job sites for you. Elance has over 2 million skilled freelancers from around the world using the platform to find work. From web developers to mobile programmers and designers to writers and marketing pros, you can find them here. 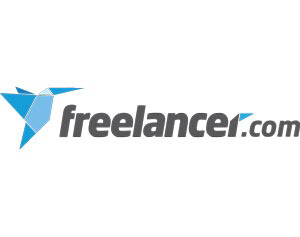 Freelancer is a massive freelance jobs website with millions of freelance jobs and millions of professional freelancers ready to bid on your projects. Upwork, formally oDesk is the premier platform for top companies to hire and work with the world’s most talented independent professionals. Guru is the best place for businesses and freelancers to connect, collaborate, and get work done. Find, hire and manage talented freelancers around the world. The ProBlogger Job Board is where bloggers looking for jobs and companies looking for bloggers to hire meet. Its a good place to find content writing / editing jobs. Find your next freelance job at ifreelance.com. The site offers an effective and affordable way for talented freelance professionals and businesses to connect. PeoplePerHour consists of about 250,000 active users, of whom 180,000 are freelancers and 70,000 who are clients. The majority of clients using the services are small companies. As the name suggests, it offers hourly jobs. Common categories include marketing, legal, accounting, writing and programming. Freelance Marketplace that connects hiring clients with freelancers such as programmers, website and graphic designers, translators, writers, virtual assistants etc. Into journalism? This site is a gold mine for you. It's clientele includes ESPN, Time Magazine, Slate.com, National Geographic Magazine and many more. As the domain states, the site gives people the tools to rent programmers project based. It intermediates between freelance developers (or companies) and people who need a website, mobile- or desktop-app, brochure design or logos done. Get A Coder is another excellent site for programmers. You'll also find Web Designers and Freelance Writers willing to work at low rates. A marketplace for graphic design, including logo design, web design and other design contests. Are you a logo creator? or a business looking for an amazing design for your company's logo. LogoMyWay holds logo design contests on it's community of more than 20,000 talented logo designers. The winner earns the money. Onsite search boxes are an important element of every website. When you have loads of content and would like your visitors to quickly dig through pages and find exactly what they were looking for, search boxes come in really handy. Blogger allows users to quickly add a simple search box from the list of available gadgets. The default search box looks fine on most sites, however you can even add a custom search box to blogger and apply any style that goes with your blog scheme. The only thing that you need is some HTML/CSS know-how and a bit of time. To make things easy for you, here we have included a collection of free pre-styled search boxes that would go well with almost any website design. The best thing is that these are fluid width, responsive search boxes which will adjust to all screen sizes. Here are a couple of search bar styles you can choose from for your blog. Simply grab one of the codes below and add it where you like. Blogger is one of the oldest and easiest blogging platforms available. The platform itself being free, comes with several useful customizable themes. Then, there are thousands of other templates that are available online as both, paid and free. Responsive templates specifically are the ones most in-demand. You can go to sites like 'theme forest' and choose from a small collection of well designed, paid responsive blogger templates or search the web for a free responsive blogger template that goes well with your blog. You may be looking for a professional template for your company's website or an attractive theme for your ecommerce store or even a decent template for your personal blog. But finding the right template can be a cumbersome task. To make things easy for you we have listed many of the top free responsive templates available for different blog categories. 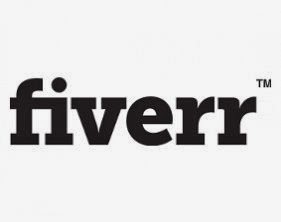 Growing list of free responsive blogger themes 2014 / 2015. 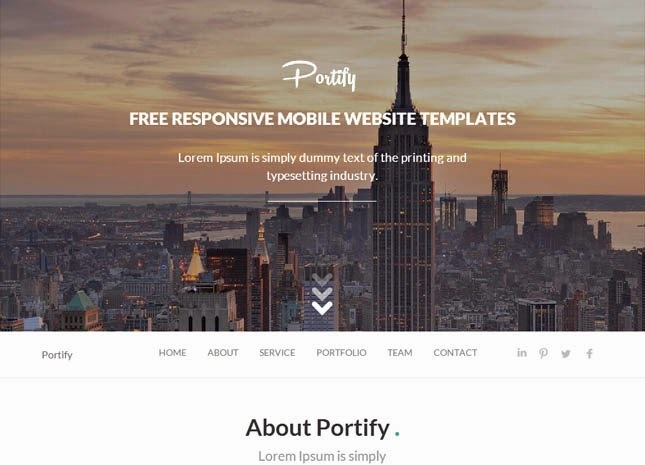 Portify is a portfolio blogger template with a responsive design and also with a remarkable clean layout with easy codes. It can be used for any type of site like portfolio, gallery, photography and designer's blog. Looking for a neat blogger template that features a left and right sidebar? Check out '3Columns' - a free responsive template built on bootstrap. This elegantly designed template features a 3 column layout and will resize perfectly on all screen sizes. The header comes with a navigation bar placed beside the logo while the left sidebar to comes with pre-installed with a vertical navigation bar, giving you ample space to manage your links. You can use the right sidebar to add your own widgets. Search for <!-- Header Navigation --> in your template and change the URL and link text shown in blue below. Search for <!-- Sidebar Navigation --> in your template and change the URL and link text shown in blue below. To link to relevant social profiles, simply search for <!-- Social Links --> in the template and make changes to the text shown in blue below..
Do let us know of any anomalies/layout problems that you may find in the template. 3Columns template is absolutely free for use. Please do not edit/remove the footer credit link. 'Wondrous' is a beautifully designed responsive blogger template with a simple one column layout. This general purpose template comes pre-installed with social sharing buttons and a profile box displayed below the post area. Whether you writer, journalist or even a blogger with liking for simple designs, check out Wondrous. It may be exactly what you are looking for. Embedded videos are not responsive by default. To embed your videos responsively, just copy the following div block and simply paste the URL of your video as shown in blue below. Simply search for <!--Profile Box--> in your template and make changes to the text shown in blue below. Simply search for <!-- Social --> in your template and make changes to the text shown in blue below. The template is free for use. Please do not edit/remove the footer credit link. Allow users to share your blog posts on popular social networks such as Facebook, Google, Twitter, LinkedIn and Email with this quick loading, social sharing widget. It uses 'Font Awesome', allowing you to easily customize the icons using pure css. Just below the opening <head> tag in your template add the following code. Find the <data:post.body/> tag (usually the second one) in your template and add the following code right below it. You can use your own icons simply by replacing the code "<i class='fa fa-...'></i>" with the URL <img src='URL_HERE'/> of the image you would like to use. Blogger, by default assigns a 72 x 72 pixel size for thumbnails generated from your post images. You may desire to change the image thumbnail size on the Popular posts widget or even thumbnails displayed on homepage, generated from blog posts. "<img expr:src='data:post.thumbnailUrl'/>" tag . Using this tag, you can pick up the first image from a post and generate its thumbnail. By assigning a class/id to this tag and using a simple jquery code, we can define a custom thumbnail size for it. Before you begin, make sure you have jquery installed in your template. If not, copy the latest version from below and paste it above the closing head tag </head>. 2. Just above the closing head tag </head> in your template, paste the code below. 3. The "120" is your new thumbnail size. You can increase or decrease the thumbnail width by changing the "120" to any other number. Lastly, ".post-thumb" is the class you have assigned to your images. Changing the thumbnail size for Popular Post images is simple. Just paste the code below just above closing head tag </head> in your template. Change "120" to any other number to set the desired size for popular posts thumbnail images. Please give proper credit if you wish to cover this post on your blog.